Online course in academic writing for scientists launched this week! Staff within Modern Languages at the University of Southampton, have begun a collaboration with the Indian Institute for Science Education and Research, in Bhopal (IISER Bhopal). 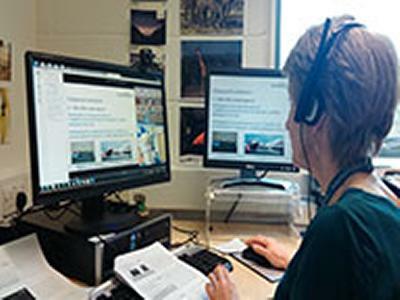 The collaboration has seen the creation of an online course in academic writing for scientists, and is a project also supported by the British Council. The 4-week online course began this week and features a mixture of live, interactive virtual classroom sessions; online activities; writing tasks; social discussion and live chat. It is a mixture of tutor-led and student-led collaborative learning, and is intended to improve students’ writing in English. 50 students are signed up to the course and have been participating this week in course activities. The course has been created by staff within Modern Languages in consultation with staff at IISER Bhopal. Dr. Ramya Sunder Raman, Dean of Academic Affairs, from IISER Bhopal, visited the university in December 2014, with two IISER students, Rohit Prasad Bhatt and Amit Singh. The group met with Professor Mark Spearing and then held several productive sessions with Modern Languages staff to discuss and refine course content. 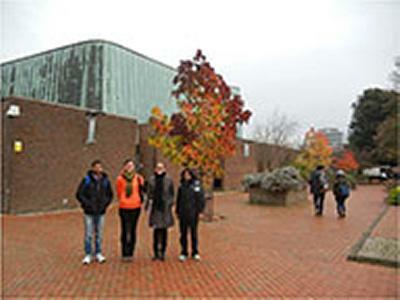 The group also visited local sites with a Southampton student guide. For Rohit and Amit, this was their first visit to the UK and they greatly enjoyed their trip – walking in Keats’ footsteps in Winchester was a particular highlight! In March, a delegation from Modern Languages will visit Bhopal to meet students, evaluate the course and discuss future steps.